Danish rider Michael Morkov continues to show his prowess on the track. After racing the London Six Days with his brother Jesper, Morkov teamed up with Ilijo Keisse to ride the Gent Six Days. The pair had a great start to the event, taking the lead at the end of the first night of racing. Here is a look at Morkov’s power numbers from those races. During the first race of the night, the Madison Points race, Morkov has 5 spikes of over 750 watts. 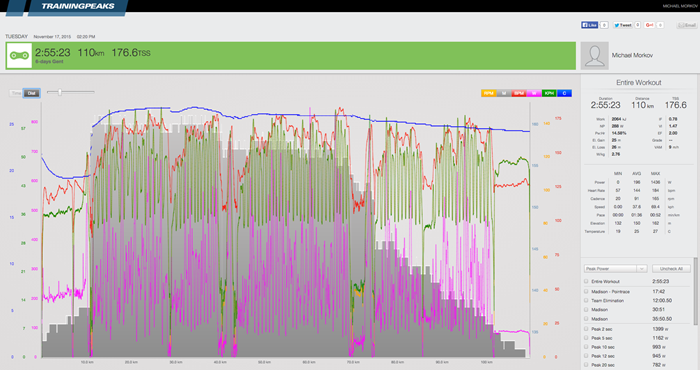 His Normalized Power® (NP®) for the nearly 18 minute effort was 343 watts and 111rpm. In the Team Elimination, Morkov’s NP was 316 watts at an average speed of 46km/h (28.5mph). The third race of the night, the Madison, lasted 30’. He has more than 30 spikes of over 500 watts, with a peak of 1436 watts. On the final race of the night, a 30′ Madison plus six laps, Morkov’s NP for the first half was 270 watts and 303 for the last half. He averaged 108rpm and 42km/h (25mph). During the entire night, Morkov covered 110km (68 miles) and burned 2064 calories. 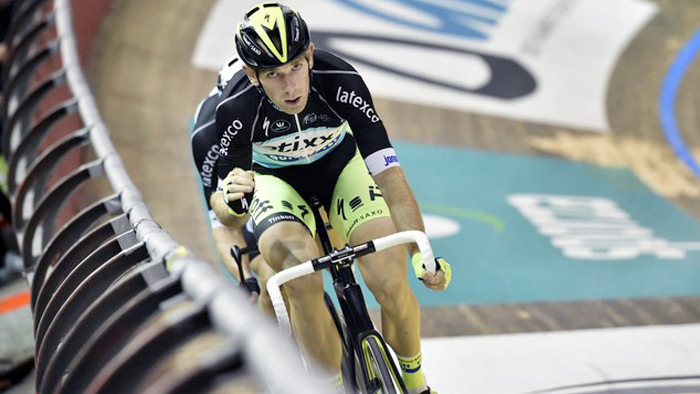 This effort put the team of Morkov and Keisse in the lead on the first night of racing.